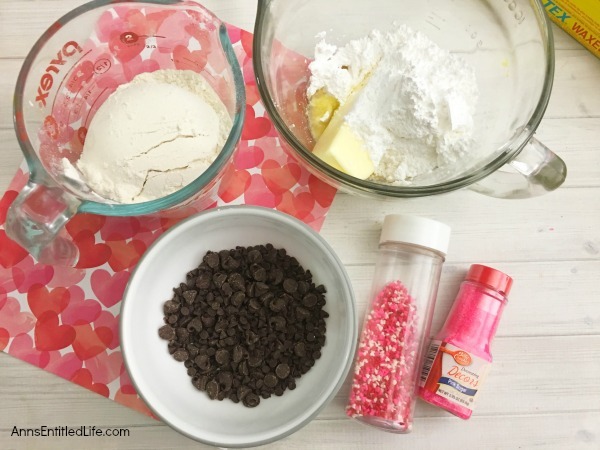 Make your own chocolate chip slice and bake cookies with this easy to put together slice and bake cookies recipe! This tasty chocolate chip slice and bake cookies recipe is simple to make and can be customized for any holiday or occasion. This is an easy recipe that looks beautiful and tastes fabulous! • Mix in flour and salt. 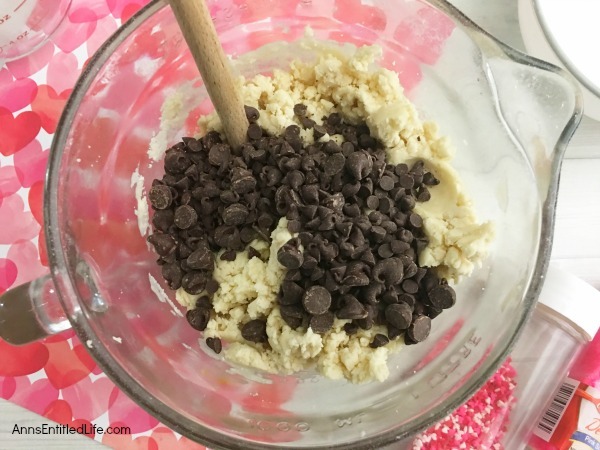 • Fold in chocolate chips and form the dough into a ball. 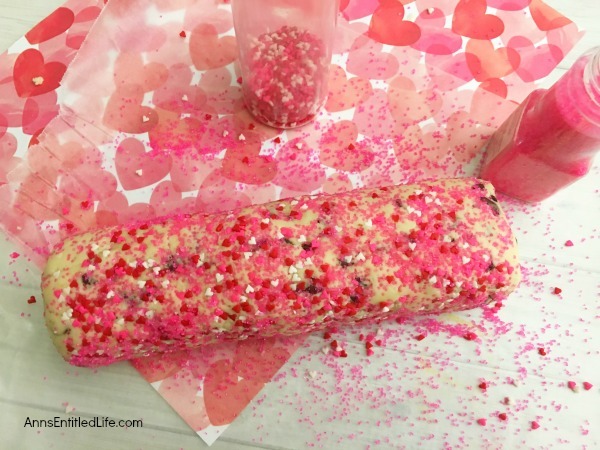 • Place your dough onto a piece of wax paper, roll into a log shape. 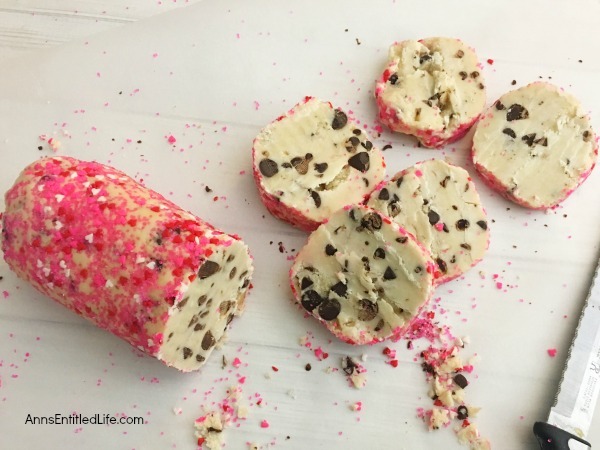 • Roll the dough log in sprinkles until covered. • Wrap the logs in plastic wrap and refrigerate 2-3 hours. • Line a cookie baking sheet with parchment paper. 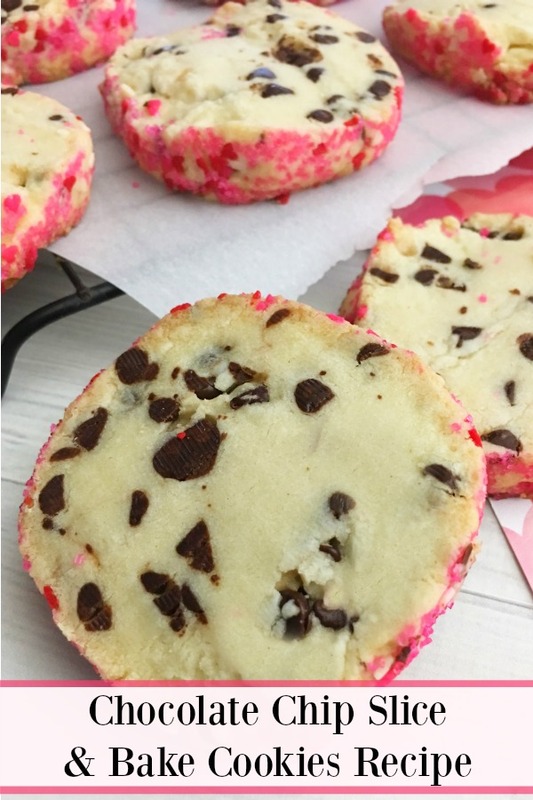 • Use a knife to slice your chocolate chip dough log carefully into circular slices. 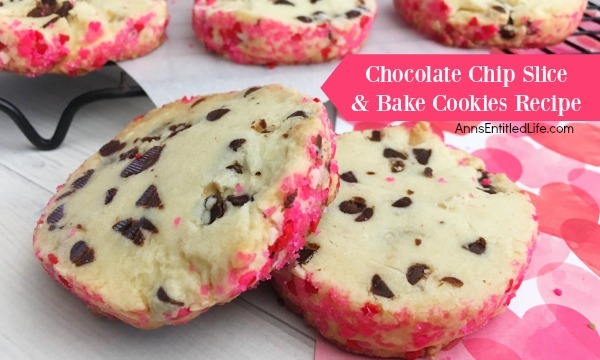 • Place sliced chocolate chip cookies onto a parchment paper lined cookie baking sheet. • Bake for 12 minutes. Note: there is no egg in this slice and bake recipe. These are more of a shortbread cookie. If you like slice and bake cookies, you may want to check out this Slice and Bake Trees Recipe! 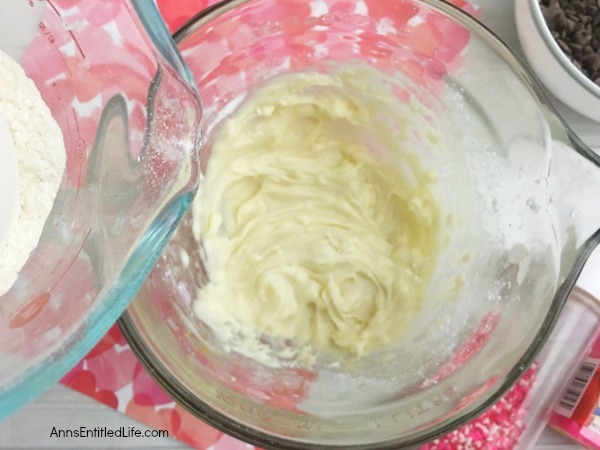 I always make my own vanilla extract – I have been making it for 25+ years. It is simple to do. If you would like to make your own vanilla extras, click here to find out how to make your own vanilla extract. 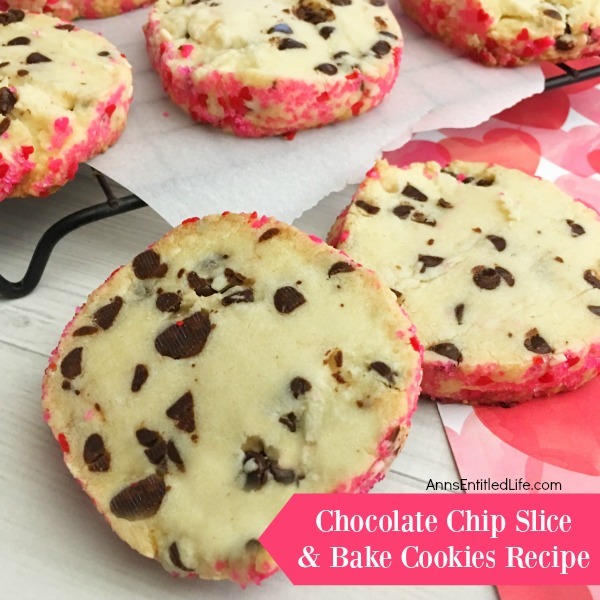 • To print the Chocolate Chip Slice and Bake Cookies recipe, click here. 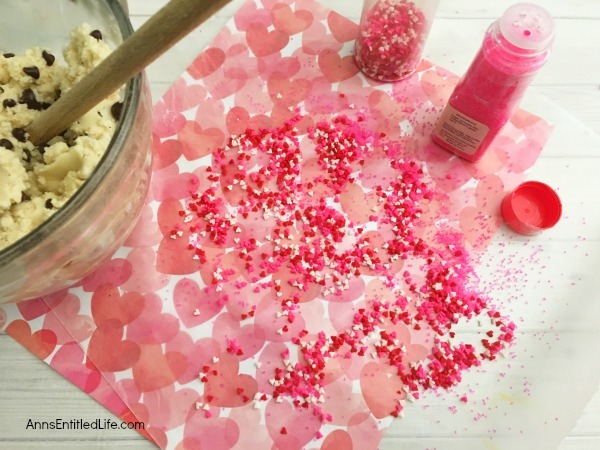 I assume that the sprinkles are for decoration & not necessary for the recipe, correct? Yes and no, Linda. 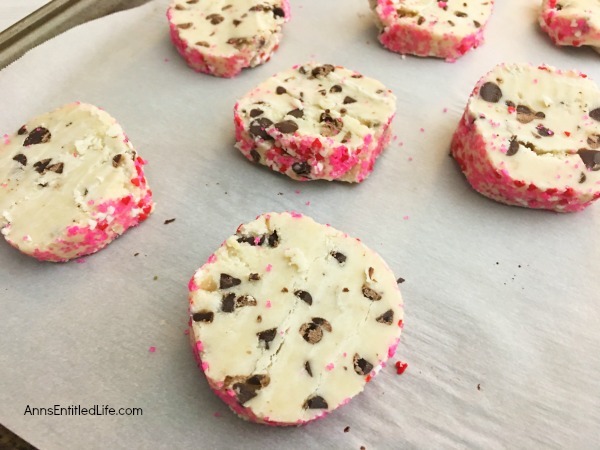 You don’t technically need to roll these in sprinkles… you’ll just have a plain cookie at the edges. The sprinkles do add a bit of taste, and a bit of texture. But will the cookies be terrible or ruined without sprinkles? Nope.